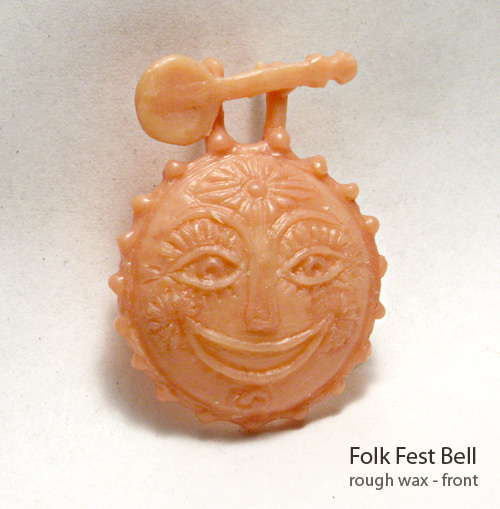 Folk Fest Logo from 7th annual Festival. 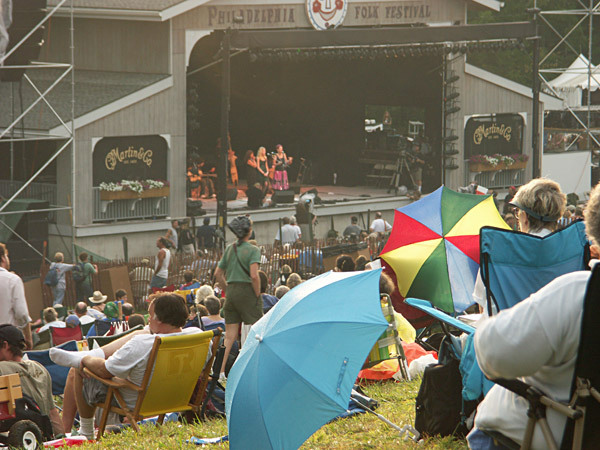 View of the main stage. 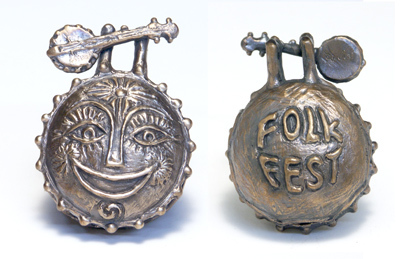 a wearable bell for the Philadelphia Folk Festival. musicians and enthusiasts which dates back to 1962. It a great experience worth looking into. The bell would be wearable and made in bronze. I based the design on the festivals long standing logo. woodcut as you might find in folk art. Sometimes it is a radiant sun. Often it is depicted on a banjo. for attaching a hanging chord. I did a lot of experiments with scale and positioning. a very small metal ornament. essential forms and carve then by hand on the wax model. 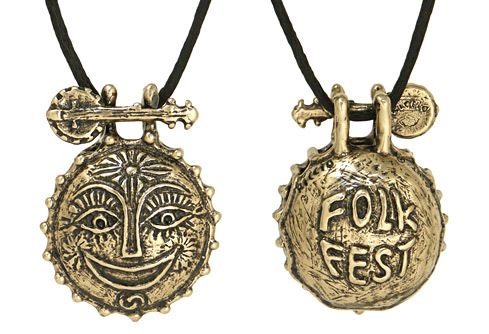 by the regular festival aficionados"Folk Fest". The model shown here is the first prototype. 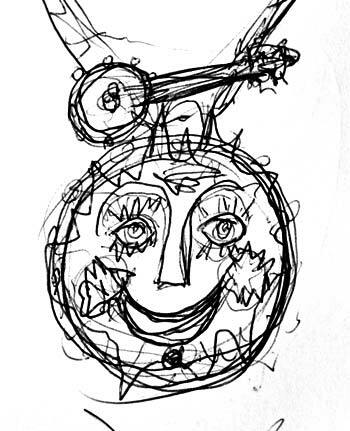 is another tiny face inside the bell. 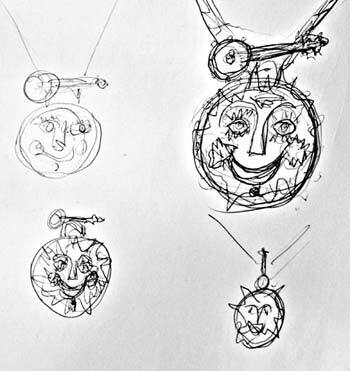 Sketches for the bell model. Prototype of bell to work out design viability, only 2 were made! 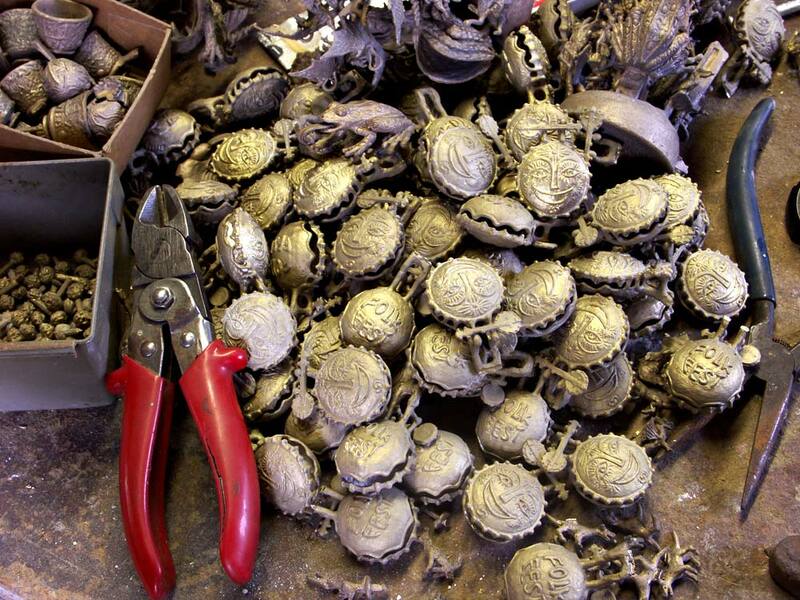 Bells cast in varying bronzes and ready to be polished. The tray to the left of the cutting pliers contains the tiny faces that will go inside each bell. A previous project. This bell was made for the Grounds Crew who build the phisical structurse of the festival.